Liberty of London for Target – finally. I reached for this many times but decided to get past the halfway point. Sometimes you have to hold the carrot to ensure success. This entry was posted in target and tagged fabric purse, liberty of london for target, multicolored, target on May 4, 2018 by miriamgmck. Colorful Catori crossbody. Put it in the giveaway one year and no one claimed it, so I traded another purse to get it back. Glad I did. This entry was posted in thrifting and tagged catori, crossbody, fabric purse, mil ticolored on May 2, 2018 by miriamgmck. Lucky Brand that I’ve tried twice to give away. Third times the charm. Bucket style with fabric and suede with lots of hardware. Email me at 50favbags@gmail.com with bag 8. I really love the style but my back can’t take it. This entry was posted in 2018 Lent bag giveaway, thrifting and tagged black, fabric purse, giveaway, Handbags and Purses, lucky brand, patterned bag, purple, suede, tan, thrifting, white on February 22, 2018 by miriamgmck. i put off wearing this purse for as long as i could. liberty of london for target, maybe 3 years ago – there were lots of clothes, kids stuff, none of which i can wear. but when i saw this bag i knew i could participate. i love using it in the spring and summer months and i have to force myself to give it a rest, because i don’t want to wear it out. it’s got side pockets, people, 3 interior pockets, and two, front and back, now – two more exterior pouches. and then, to cap it all off, it’s got a strap to make it a shoulder bag or cross body. it’s a well organized bag that makes me happy. it doesn’t get much better than that for an inanimate object. perfect for a day like today. ps: i just checked, and i was right – this line is from March 2010. i’m just glad my memory is still accurate in at least one arena. 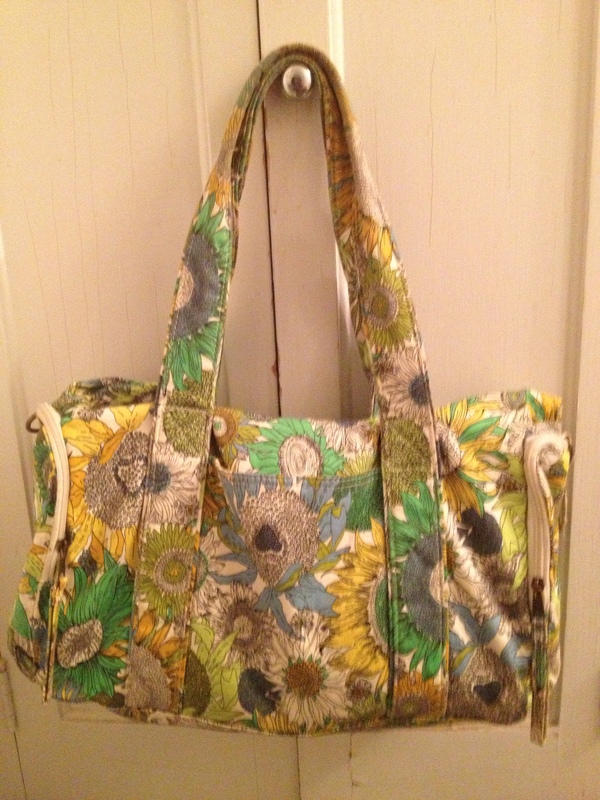 This entry was posted in target and tagged fabric purse, favorite, Handbags and Purses, happy, liberty of London, liberty of london for target, patterned bag, Shopping, target on May 3, 2013 by miriamgmck.